Lutetium is a lanthanide and the heaviest and hardest of the rare earth elements. Its name comes from the Latin Lutetia for Paris. Lutetium aluminium garnet has been considered for use in high refractive index immersion lithography lenses. 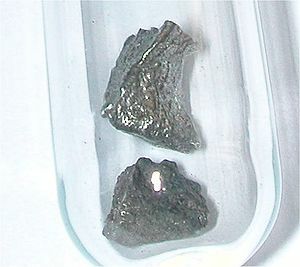 Cerium-doped lutetium oxyorthosilicate is used in positron emission tomography (PET) detectors. When added to gadolinium gallium garnet, lutetium finds use in magnetic bubble memory. It is one of the most expensive metals, about six times the cost of gold. It is mined from monazite, a rare earth phosphate mineral.